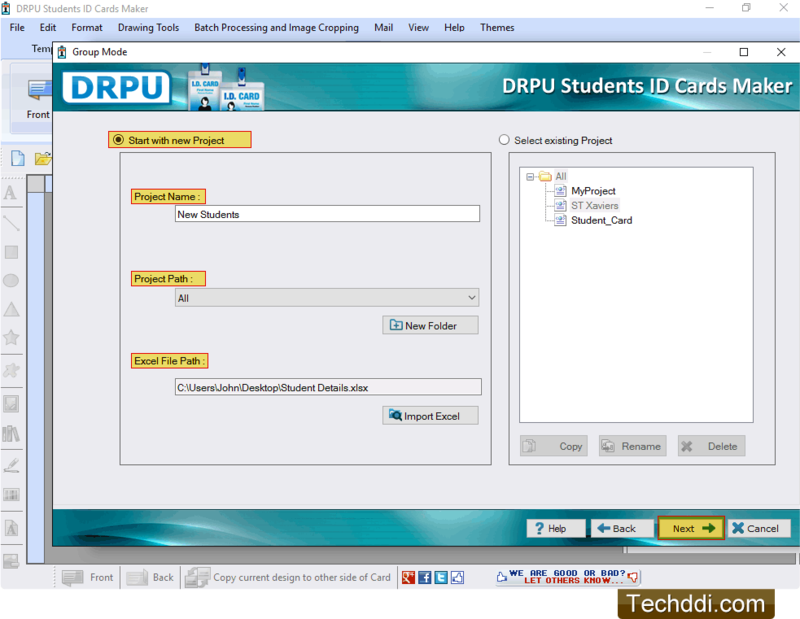 Software has two modules to generate student ID cards. 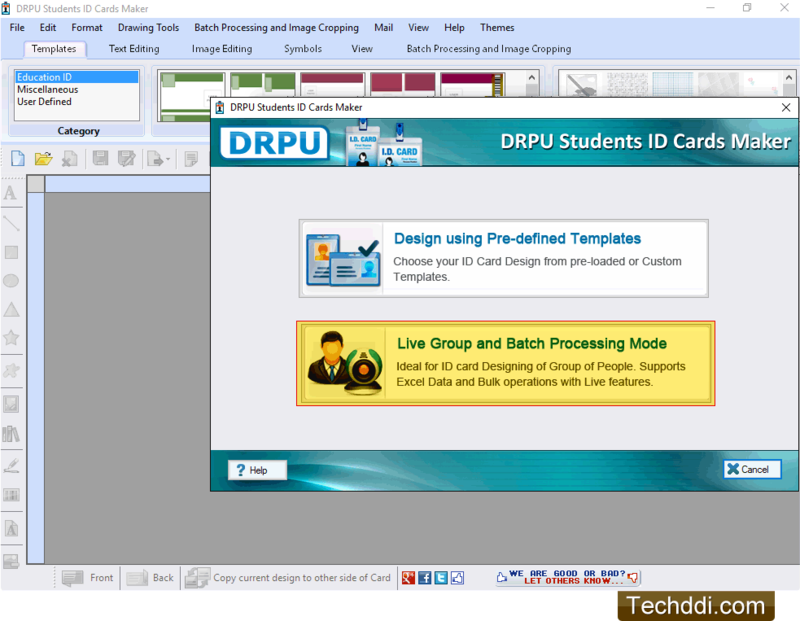 Select any one module as we have selected Live Group and Batch Processing Mode for demonstration purpose only. Select any one option either 'Start with new project' or 'Select existing Project' to make changes in existing project. Here we have selected "Start with new Project" option. Enter Project Name, Project path and browse the path of excel file by clicking on 'Import Excel' button. click on 'Next' button to proceed. 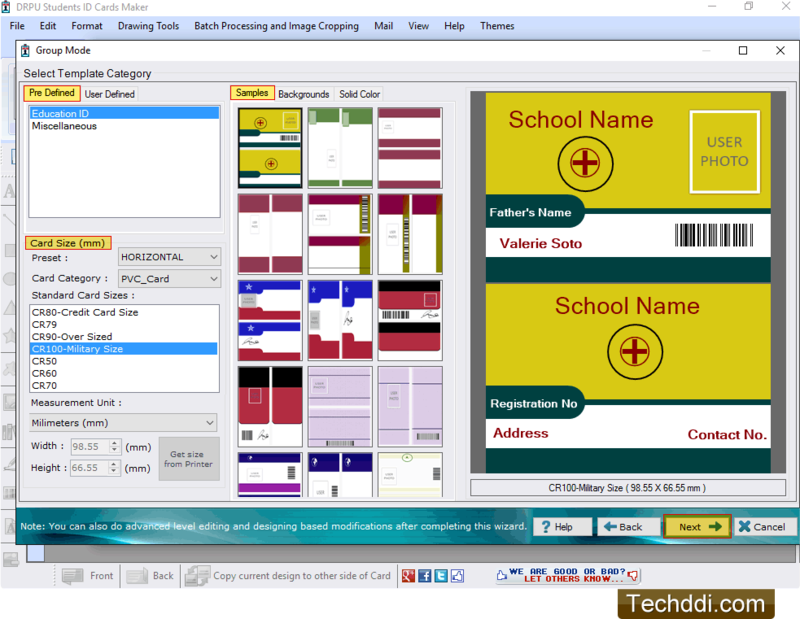 Select any one pre-defined student ID card design sample, enter card size and click on Next button. 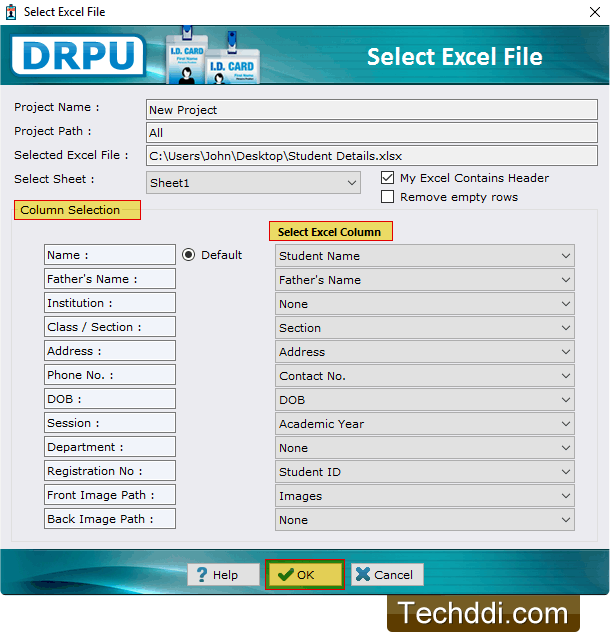 Select excel sheet, excel column and click OK button. Here you can see the Front view of designed student ID card. 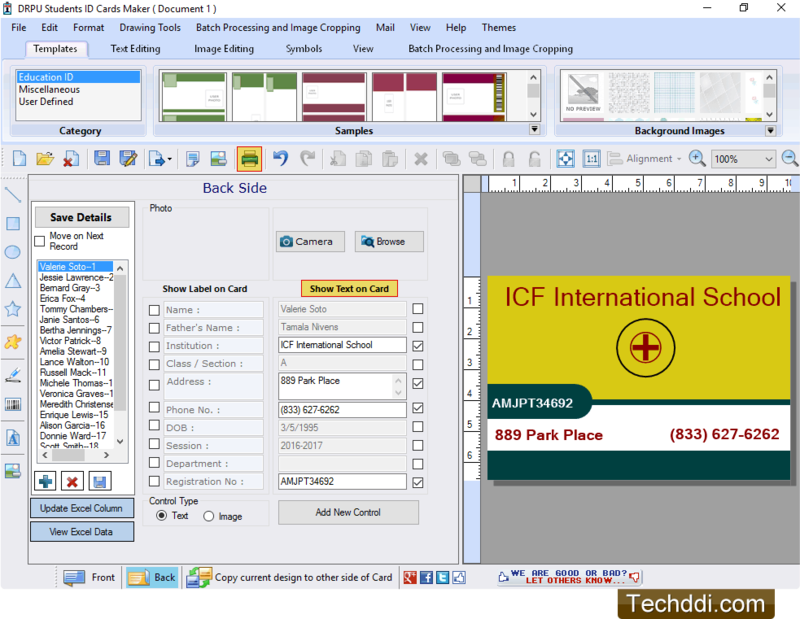 To add photo on ID card you can browse path of image or you can take picture using camera option. Now you can see the Back side of designed ID card. 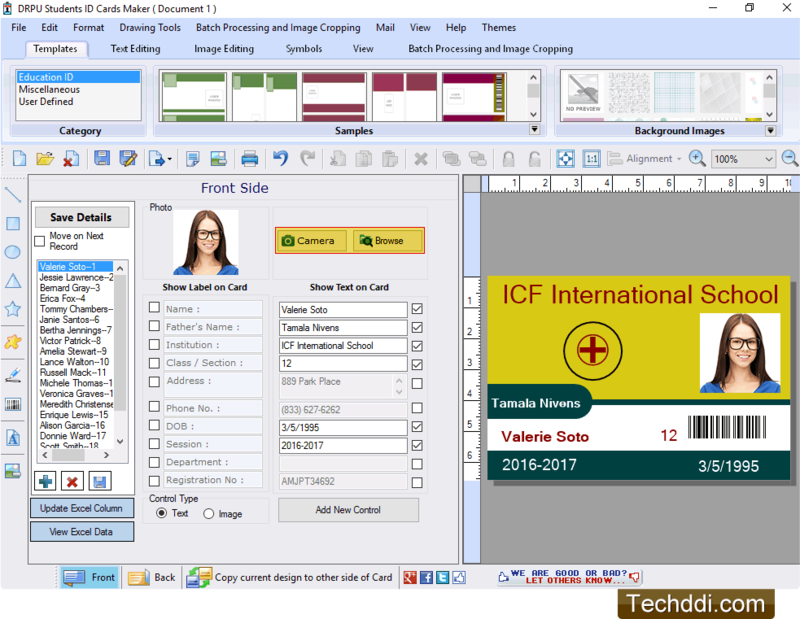 To print your designed ID cards click print icon from tool bar. 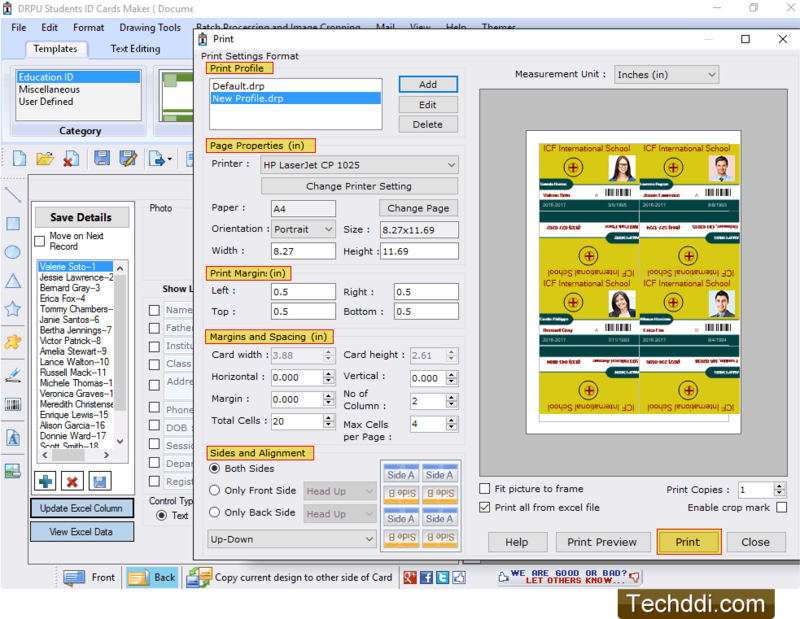 To print designed student ID cards, fill various print settings such as Page Properties, Print Margin, Margins and Spacing, Sides and Alignment and click on Print button.